Contact a Family, a UK-wide charity providing support, advice and information for families with disabled children has a list of people with ADEM wishing to make contact. Making Contact Org linking families. 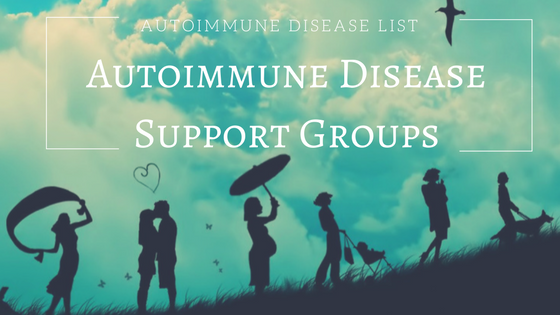 AIH Support Group for autoimmune hepatitis has a facebook group. This is an open forum for people who have Antiphospholipid Antibody Syndrome, friends, family and caregivers. Please feel free to participate in any of the discussions listed, browse around or post your own new discussion. Churg Strauss Syndrome Association has local contacts for CSS around the world. Crohns Disease Forums A community of people whose lives are affected by Crohn's Disease, Ulcerative Colitis, other forms of Inflammatory Bowel Disease (IBD), Diverticulitis and all other gastrointestinal and bowel related diseases and conditions. Healing Well Forum Crohns - you will need to register before you will be allowed to post on the forum or login to chat, but you are free to browse the forums by selecting from the listing below. Has forums for many conditions. CIDP Join the conversation on Facebook, Twitter and our Forum. MSAAmerica support groups provide safe environments where people, who have or are affected by multiple sclerosis, gather to learn, share, build friendships, and help themselves and others. Support groups usually meet once a month and draw from a certain geographic region. National MS Society - Connect with others in America online whose lives are affected by multiple sclerosis, whether it be from living with MS, caring for a loved one, or supporting the MS cause. Opsoclonus-myoclonus syndrome (OMS) mailing list to share imformation, treatment and options. Dancing eyes syndrome (UK name for OMS support and information to families of children with Dancing Eye Syndrome. Primary Biliary Cirrhosis (PBC) also called Hanot Syndrome pbc Foundation PBCers. SARCOID NETWORKING ASSOCIATION has newsletters and support groups in England, Germany, Japan and the United States. Sjogren's World Forum Discussion and chat for people with Sjogren's Syndrome or their partners. Topics include Breathing, Fatigue, Joints, muscles, pain, tests and diagnosis. Takayasu's Arteritis Support Group where patients, families, friends and medical professionals can share their questions about and experiences with Takayasu's arteritis. Central Nervous System Vasculitis Foundation aim to achieve Awareness, Education, and Emotional Support through group sharing.